The Mantra…"There Is Going To Have To Be Global Governance"
One by one, ‘leaders’ are dropping the hint of ‘a one world government’ that is in your best interests. The latest…Canadian Prime Minister Stephen Harper at the G8. At about the 3:20 mark Harper throws in his global governance line but he stumbles over his words. Mediocre propagandist puppets sometimes have a bit of trouble getting their lines straight. Harper’s words come right on the heels of the Pope’s “true world political authority” statements that he signed off on. There’s a pattern here. The ‘rulers’ think that they can just talk us into submitting to their schemes through the incessant controlled media telling us this is the way it is. If this controlling technique doesn’t work, I’m sure there are many other ‘tricks’ up their sleeve. More war, pandemics, economic collapse and of course, the old tried and true ‘false flag’ come to mind. The backups in case the psyops of the media do not work. A great number of people are aware of what is happening. A much greater number are numb to any semblance of truth. This entry was posted in criminal government, nwo, one world government. CNN and Lou Dobbs put the message right up front in a segment on Gordon Brown’s visit with Obama, March 3, 2009. This entry was posted in criminal government, globalists, main stream media, nwo. In economic and financial desperation, leaders around the globe are openly calling for the creation of a “New World Order,” including prominent “old guard” members of the Trilateral Commission. Is the baby about to be born? It’s not accidental that so many of the original members of the Trilateral Commission, all of whom are now well into their 80’s, have returned to dance in the limelight once again. TC Members like Henry Kissinger, Zbigniew Brzezinski, Paul Volker and Brent Scowcroft, for instance. And, of course it isn’t — for him. Kissinger has been patiently waiting since at least 1973 for his New World Order egg to hatch. And remember, in July 1971, Kissinger was the very first diplomat (under Nixon) to visit Communist China in order to open up trade relations with that brutal dictatorship. Oh, and that was an absolutely top-secret trip. For the uninitiated, “six hundred people” refers to Congress: Replace it with a Socialist/Communist central coordinating organ. Sarkozy (France), Merkel (Germany) and Blair (Great Britain) are all calling for a New World Order. Both Tony Blair and the current British PM Gordon Brown have repeatedly called for a New World Order for many years, but their cries are intensified. 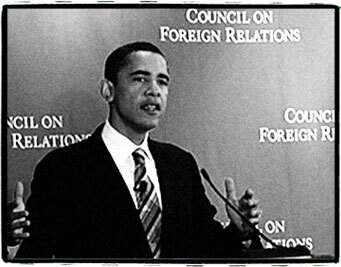 The media hailed Obama for his vision of America and the New World Order. Indeed, the chorus for a New World Order is being heard around the world. Canada: A new world order rising? A crisis made to order? So, now we have the mother of all crises and on a global scale at that: Financial, political, religious (remember Islam?). And socialistic solutions are being railroaded through on a daily basis. If the New World Order baby is about to be delivered, wouldn’t you expect the fathers (Kissinger, Brzezinski, Scowcroft, Volker, Rockefeller, et al) to show up and pace the floor? Everybody figures that these guys are just crusty and harmless old men, but I will guarantee that when the baby is finally born the screaming will begin. This entry was posted in globalism, nwo. In the kingdom of the master deceivers black is white, war is peace and freedom is slavery. The object of the avalanche of lies that washes over us all on a daily basis is to so overwhelm us with lies and half-truths that we can no longer recognize the truth, even when it is staring us in the face. Whenever a society reaches this stage of disinformation saturation then truth itself becomes the most effective lie. Fantasy becomes the coin of the realm, as truth no longer reflects its absolute weight, appearing no different from the darkness that surrounds it. In this world, the imaginings of delusional minds are given life, as people embrace the concept of the suspension of disbelief. When people are trained to voluntarily dispense with reason, for the sake of entertainment, they become ripe for ultimate deception. People will believe anything. Into this darkened delusional realm psychological manipulation devices are introduced, such as television and movies, for the insertion of complex ideas into the unreasoning escapist minds of the masses. Using these tools, the master manipulators practice their dark arts of psychological manipulation, to eradicate unacceptable ideas and to implant new acceptable versions of “reality” into the minds of the conditioned sheeple. The plans to create a “scientific dictatorship” for us have been hidden in plain sight, because very few people cared to open their eyes wide enough to adjust to the overwhelming darkness. Our movies and television programs echoed with the idea that the planned technocracy is an inevitable “evolutionary” step, that, overall, it will be a good thing for mankind. Science fiction is the most fertile medium to indoctrinate us with hope in the future and faith in science as our salvation. In order for that “great day” of the technocratic era to arrive, everyone in society will have to be conditioned to accept the official construct, and all those who fight the new system will have to be removed from society. America must experience martial law day, in order to clear the way for the new order. “Technocracy is technological social design”. “Technocracy is a blueprint of a new method of social operation”. In keeping with the theme of this paper, we must ask the question, have the master deceivers revealed the actual plan for manipulating the world into accepting this new scientific global dictatorship? Has the plan been revealed to us, under the clever disguise of fiction? There is one piece of universally discredited evidence that fits this description, THE PROTOCOLS OF THE LEARNED ELDERS OF ZION. Because of vague similarities in order and cited examples with an earlier work of fiction, Dialogue In Hell Between Machiavelli and Montesquie, the work was discredited as plagiarism, thus eliminating discussions of the accuracy of the descriptions given for the inner workings of the global conspiracy that is pushing the world dictatorship of bankers and intellectuals. I urge everyone concerned with the plans for the new world order to examine both of these books and judge for yourself whether or not certain powerful individuals do control our press, our banks, our government, etc. If this is correct, then “we” in the text refers to the conspirators, and “goyim” refers to us sheeple. 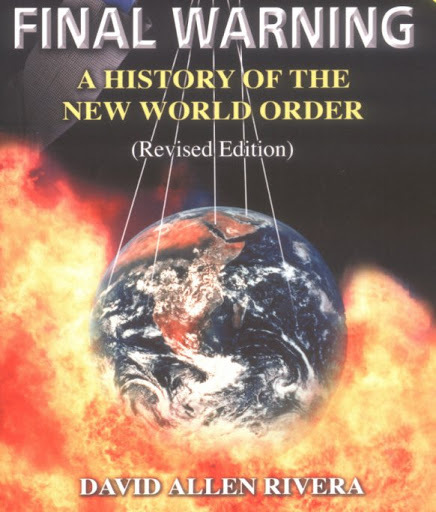 Re-reading the original with these changes paints a pretty accurate picture of the multiple deceptions and power plays that comprise the key elements of the conspiracy to enslave this planet to the narrow interests of elitist intellectual financiers. Much of the world is about to be reduced to rubble so that we the people might be sifted like sand, to steal from us the little that remains. “You have meddled with the primal forces of nature, Mr. Beale, and I won’t have it. You think that you have stopped a business deal. The arabs have taken billions of dollars out of this country and now they must put it back! It is ebb and flow, tidal gravity. You are an old man who thinks in terms of nations and peoples. One vast and immane, interwoven, interacting multi-variant, multinational dominion of dollars! That is the atomic and sub-atomic and galactic structure of things today. And you howl about America and democracy. There is only IBM and ITT. And AT&T, and DuPont, Dow, Union Carbide and Exxon. They get out their linear programming charts, statistical decision theorise, minimax solutions and compute the price-cost probabilities of their transactions and investments just like we do. inexorably determined by the immutable bylaws of business. In which there is no war or famine, oppression or brutality. For whom all men will work to serve a common profit. This entry was posted in nwo, social engineering. comment on today’s world situation. In an address delivered to the Union League of Philadelphia on November 27, 1915, Nicholas Murray Butler said: The old world order changed when this war-storm broke. The old international order passed away as suddenly, as unexpectedly, and as completely as if it had been wiped out by a gigantic flood, by a great tempest, or by a volcanic eruption. The old world order died with the setting of that days sun and a new world order is being born while I speak, with birth pangs so terrible that it seems almost incredible that life could come out of such fearful suffering and such overwhelming sorrow. In a 1919 subscription letter for the magazine International Conciliation, M. C. Alexander, the Executive Secretary of the American Association for International Conciliation wrote: The peace conference has assembled. It will make the most momentous decisions in history, and upon these decisions will rest the stability of the new world order and the future peace of the world. If there are those who think we are to jump immediately into a new world order, actuated by complete understanding and brotherly love, they are doomed to disappointment. If we are ever to approach that time, it will be after patient and persistent effort of long duration. The present international situation of mistrust and fear can only be corrected by a formula of equal status, continuously applied, to every phase of international contacts, until the cobwebs of the old order are brushed out of the minds of the people of all lands. 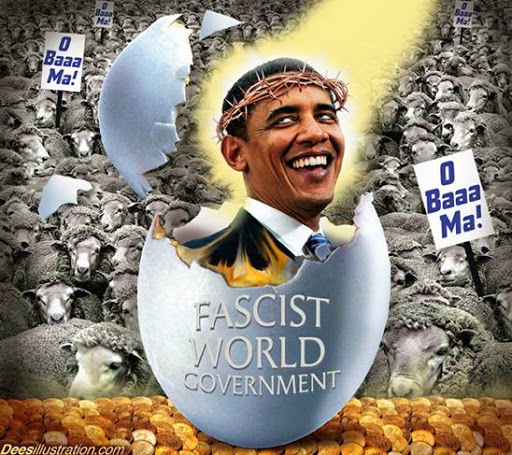 Adolf Hitler said: National Socialism will use its own revolution for the establishing of a new world order. In the 1932 book The New World Order, author F. S. Marvin said that the League of Nations was the first attempt at a New World Order, and said that nationality must rank below the claims of mankind as a whole. Edward VIII became King of England on January 20, 1936, but he was forced to abdicate the throne eleven months later, when he married a commoner. He became the Duke of Windsor, and in July, 1940, became the governor of the Bahamas. He is on record as saying: Whatever happens, whatever the outcome, a new Order is going to come into the world … It will be buttressed with police power … When peace comes this time there is going to be a new Order of social justice. It cannot be another Versailles. In a New York Times article in October, 1940, called New World Order Pledged to Jews, comes the following excerpt: In the first public declaration on the Jewish question since the outbreak of the war, Arthur Greenwood, member without portfolio in the British War Cabinet, assured the Jews of the United States that when victory was achieved an effort would be made to found a new world order based on the ideals of justice and peace. If totalitarianism wins this conflict, the world will be ruled by tyrants, and individuals will be slaves. If democracy wins, the nations of the earth will be united in a commonwealth of free peoples; and individuals, wherever found, will be the sovereign units of the new world order. From an article in a June, 1942 edition of the Philadelphia Inquirer: Undersecretary of State Sumner Welles tonight called for the early creation of an international organization of anti-Axis nations to control the world during the period between the armistice at the end of the present war and the setting up of a new world order on a permanent basis. The United Nations has not been able nor can it be able to shape a new world order which events so compellingly demand (The new world order that will answer economic, military, and political problems) urgently requires, I believe, that the United States take the leadership among all the free peoples to make the underlying concepts and aspirations of national sovereignty truly meaningful through the federal approach. The Associated Press reported that on July 26, 1968, Governor Rockefeller said in a speech to the International Platform Association at the Sheraton Park Hotel in New York, that as President, he would work toward international creation of a New World Order. Richard Nixon wrote in the October, 1967 issue of the Council on Foreign Relations (CFR) journal Foreign Affairs: The developing coherence of Asian regional thinking is reflected in a disposition to consider problems and loyalties in regional terms, and to evolve regional approaches to development needs and to the evolution of a new world order. In 1972, while in China, in a toast to Chinese Premier Chou En-lai, Nixon expressed the hope that each of us has to build a new world order. In short, the house of world order will have to be built from the bottom up rather than from the top down. It will look like a great booming, buzzing confusion, to use William James famous description of reality, but an end run around national sovereignty, eroding it piece by piece, will accomplish much more than the old fashioned frontal assault. The existing order is breaking down at a very rapid rate, and the main uncertainty is whether mankind can exert a positive role in shaping a new world order or is doomed to await collapse in a passive posture. We believe a new world order will be born no later than early in the next century and that the death throes of the old and the birth pangs of the new will be a testing time for the human species. It calls for the surrender of our national sovereignty to international organizations. It declares that our economy should be regulated by international authorities. It proposes that we enter a new world order that would redistribute the wealth created by the American people. My countrys history, Mr. President, tells us that it is possible to fashion unity while cherishing diversity, that common action is possible despite the variety of races, interests, and beliefs we see here in this chamber. Progress and peace and justice are attainable. So we say to all peoples and governments: Let us fashion together a new world order. We must replace balance of power politics with world order politics. In a February 14, 1977 speech, Carter said: I want to assure you that the relations of the United States with the other countries and peoples of the world will be guided during my own Administration by our desire to shape a world order that is more responsive to human aspirations. The United States will meet its obligation to help create a stable, just, and peaceful world order. What will have to take place is a gradual adaptation of the social, economic and political system of the United States to the imperatives of world order. If the United States does not unashamedly lay down the rules of world order and enforce them … then there is little reason to think that peace, security, freedom or prosperity will be served. In a December, 1988 speech, Mikhail Gorbachev told the United Nations: Further global progress is now possible only through a quest for universal consensus in the movement towards a new world order. Time and again in this century, the political map of the world was transformed. And in each instance, a New World Order came about through the advent of a new tyrant or the outbreak of a bloody global war, or its end. We believe we are creating the beginning of a New World Order coming out of the collapse of the U.S.-Soviet antagonisms. A colossal event is upon us, the birth of a New World Order. In the fall of 1990, on the way to Brussels, Belgium, Secretary of State James Baker said: If we really believe that theres an opportunity here for a New World Order, and many of us believe that, we cant start out by appeasing aggression. We can see beyond the present shadows of war in the Middle East to a New World Order where the strong work together to deter and stop aggression. This was precisely Franklin Roosevelts and Winston Churchills vision for peace for the post-war period. A new partnership of nations has begun. We stand today at a unique and extraordinary moment. The crisis in the Persian Gulf, as grave as it is, offers a rare opportunity to move toward an historic period of cooperation. Out of these troubled times, our fifth objective a New World Order can emerge … When we are successful, and we will be, we have a real chance at this New World Order, an order in which a credible United Nations can use its peacekeeping role to fulfill the promise and vision of the United Nations founders. The September 17, 1990 issue of Time magazine said that the Bush administration would like to make the United Nations a cornerstone of its plans to construct a New World Order. In a September 25, 1990 address to the UN, Soviet Foreign Minister Eduard Shevardnadze described Iraqs invasion of Kuwait as an act of terrorism (that) has been perpetrated against the emerging New World Order. collective strength of the world community expressed by the UN an historic movement towards a New World Order a new partnership of nations a time when humankind came into its own to bring about a revolution of the spirit and the mind and begin a journey into a new age. On October 30, 1990, Bush suggested that the UN could help create a New World Order and a long era of peace. Jeanne Kirkpatrick, former U.S. Ambassador to the UN, said that one of the purposes for the Desert Storm operation, was to show to the world how a reinvigorated United Nations could serve as a global policeman in the New World Order. On December 31, 1990, Gorbachev said that the New World Order would be ushered in by the Gulf War. What is at stake is more than one small country, it is a big idea a New World Order, where diverse nations are drawn together in a common cause to achieve the universal aspirations of mankind; peace and security, freedom, and the rule of law. Such is a world worthy of our struggle, and worthy of our childrens future. He also said: If we do not follow the dictates of our inner moral compass and stand up for human life, then his lawlessness will threaten the peace and democracy of the emerging New World Order we now see, this long dreamedof vision weve all worked toward for so long. When we win, and we will, we will have taught a dangerous dictator, and any tyrant tempted to follow in his footsteps, that the United States has a new credibility and that what we say goes, and that there is no place for lawless aggression in the Persian Gulf and in this New World Order that we seek to create. Now, my vision of a New World Order foresees a United Nations with a revitalized peace-keeping function. Now, we can see a new world coming into view. A world in which there is a very real prospect of a New World Order. In the words of Winston Churchill, a world order in which the principles of justice and fair play … protect the weak against the strong. A world where the United Nations, freed from cold war stalemate, is poised to fulfill the historic vision of its founders. A world in which freedom and respect for human rights find a home among all nations. On August 21, 1991, after the failed coup in the Soviet Union, CNN reporter Mary Tillotson said that the Presidents New World Order is back on track, now stronger than ever. In an interview with CNN at the height of the Gulf War, Scowcroft said that he had doubts about the significance of Mid-East objectives regarding global policy. 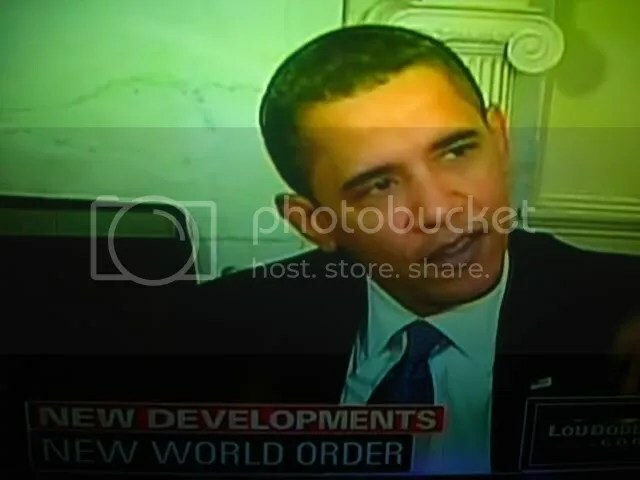 When asked if that meant he didnt believe in the New World Order, he replied: Oh, I believe in it. But our definition, not theirs. On January 25, 1993, Clintons Secretary of State, Warren Christopher, said in a CNN interview: We must get the New World Order on track and bring the UN into its correct role in regards to the United States. In April, 1992, Sen. Joseph R. Biden Jr. wrote the article How I Learned to Love the New World Order for The Wall Street Journal. What Congress will have before it is not a conventional trade agreement but the architecture of a new international system a first step toward a New World Order. you (Charlie Rose) had me on (before) to talk about the New World Order. I talk about it all the time. Its one world now. The Council (CFR) can find, nurture, and begin to put people in the kinds of jobs this country needs. And thats going to be one of the major enterprises of the Council under me. But this present window of opportunity, during which a truly peaceful and interdependent world order might be built, will not be open for long. Already there are powerful forces at work that threaten to destroy all of our hopes and efforts to erect an enduring structure of global interdependence. In the July/August 1995 issue of Foreign Affairs, Arthur Schlesinger, Jr. wrote: We are not going to achieve a New World Order without paying for it in blood as well as in words and money. The New World Order is a world that has supernational authority to regulate the world commerce and industry; an international organization that would control the production and consumption of oil; an international currency that would replace the dollar; a World Development Fund that would make funds available to free and Communist nations alike; and an international police force to enforce the edicts of the New World Order. Somehow, the implications from these quotes, lends a sinister overtone to this New World Order. After 25 years of research, it is clear to me that this country has been infiltrated by conspirators, members of an organization who are dedicated to establishing a one-world socialist government with them in control. It sounds unbelievable, like something out of a James Bond movie, yet, it is a fact. A fact that the media has refused to publicize, even attempting to cover it up, and deny its very existence. That mighty revolution which is at this moment preparing in Germany and which will be in fact a greater and a second Reformation, and of which so little is as yet known in England, is entirely developing under the auspices of the Jews, who almost monopolize the professorial chairs of Germany … the world is governed by very different personages from what is imagined by those who are not behind the scenes. The governments of the present day have to deal not merely with other governments, with emperors, kings and ministers, but also with secret societies which have everywhere their unscrupulous agents, and can at the last moment upset all the governments plans. It is not emperors or kings, nor princes, that direct the course of affairs in the East. There is something else over them and behind them; and that thing is more powerful than them. It bends governments to its will sometimes by promises, sometimes by threats. It has found its way into every class of Society, and forms an invisible and irresponsible power, an independent government, as it were, within the body corporate of the lawful state. Since I entered politics, I have chiefly had mens views confided to me privately. Some of the biggest men in the United States, in the field of commerce and manufacture, are afraid of something. They know that there is a power somewhere so organized, so subtle, so watchful, so interlocked, so complete, so pervasive that they better not speak above their breath when they speak in condemnation of it. …the real menace of our Republic is this invisible government which like a giant octopus sprawls its slimy length over city, state and nation. Like the octopus of real life, it operates under cover of a self-created screen … At the head of this octopus are the Rockefeller Standard Oil interests and a small group of powerful banking houses generally referred to as the international bankers. The little coterie of powerful international bankers virtually run the United States Government for their own selfish purposes. They practically control both political parties. Obviously there is going to be no peace or prosperity for mankind as long as (the earth) remains divided into 50 or 60 independent states until some kind of international system is created The real problem today is that of the world government. In her novel, Captains and the Kings, Taylor Caldwell wrote of the plot against the people, and says that it wasnt until the era of the League of Just Men and Karl Marx that conspirators and conspiracies became one, with one aim, one objective, and one determination. Some heads of foreign governments refer to this group as The Magicians, Stalin called them The Dark Forces, and President Eisenhower described them as the military-industrial complex. In the July 26, 1936 issue of the New York Times, Joseph Kennedy, patriarch of the Kennedy family, was quoted as saying: Fifty men have run America and thats a high figure. In 1952, U.S. Supreme Court Justice Felix Frankfurter, said: The real rulers in Washington are invisible, and exercise power from behind the scenes. So-called modern Communism is apparently the same hypocritical and deadly world conspiracy to destroy civilization that was founded by the secret order of The Illuminati in Bavaria on May 1, 1776, and that raised its whorey head in our colonies here at the critical period before the adoption of our Federal Constitution. [The] purpose of this book is to show the connection between the Illuminati, and what would become known as the New World Order. Through the years, the term Illuminati has developed an anti-Semitic connotation, because some researchers have insisted that the move toward a one world government has been engineered as part of a Jewish conspiracy. This is not true. One of the documents that provided evidence concerning this has been proven to be a complete fabrication. Although some of the International Bankers which actually control this group are Jewish, there is no basis for indicting the entire Jewish race. There does exist, and has existed for a generation, an international Anglophile network which operates, to some extent, in the way the radical Right believes the Communists act. In fact, this network, which we may identify as the Round Table Groups, has no aversion to cooperating with the Communists, or any other groups, and frequently does so. I know of the operations of this network because I have studied it for twenty years and was permitted for two years, in the early 1960s, to examine its papers and secret records. I have no aversion to it or to most of its aims and have, for much of my life, been close to it and to many of its instruments … my chief difference of opinion is that it wishes to remain unknown, and I believe its role in history is significant enough to be known … because the American branch of this organization (sometimes called the Eastern Establishment) has played a very significant role in the history of the United States in the last generation. In addition to these pragmatic goals, the powers of financial capitalism had another far-reaching aim, nothing less than to create a world system of financial control in private hands able to dominate the political system of each country and the economy of the world as a whole. This system was to be controlled in a feudalist fashion by the central banks of the world acting in concert, by secret agreements, arrived at in frequent private meetings and conferences. The apex of the system was the Bank for International Settlements in Basle, Switzerland, a private bank owned and controlled by the worlds central banks which were themselves private corporations. The growth of financial capitalism made possible a centralization of world economic control and use of this power for the direct benefit of financiers and indirect injury of all other economic groups. As a teenager, I heard John Kennedys summons to citizenship. And then, as a student at Georgetown (University where he attended 1964-68) I heard that call clarified by a professor I had named Carroll Quigley. This is where Clinton received his indoctrination as an internationalist favoring one-world government. In the mid-1970s, Dr. Tom Berry, who was pastor of the Baptist Bible Church in Elkton, Maryland, said: At most, there are only 5,000 people in the whole world who have a significant understanding of the plan. We are at present working discreetly with all our might to wrest this mysterious force called sovereignty out of the clutches of the local nation states of the world. Although world government has been plainly coming for some years, although it had been endlessly feared and murmured against, it found no opposition prepared anywhere. The government of the Western nations, whether monarchical or republican, had passed into the invisible hands of a plutocracy, international in power and grasp. It was, I venture to suggest, this semi-occult power which pushed the masses of the American people into the cauldron of World War I. It will be just as easy for nations to get along in a republic of the world as it is for us to get along in a republic of the United States. On October 24, 1945, Senator Glen Taylor (D-Idaho) introduced Senate Resolution No. 183, which called for the Senate to go on record as advocating the establishment of a world republic, including an international police force. To achieve one world government it is necessary to remove from the minds of men their individualism, their loyalty to family traditions and national identification. Whereas, in order to achieve universal peace and justice, the present Charter of the United Nations should be changed to provide a true world government constitution. James Warburg, a member of the Council on Foreign Relations, told the Senate Foreign Relations Committee on February 17, 1950: We shall have world government whether or not you like it, by conquest or consent. Today the path to total dictatorship in the United States can be laid by strictly legal means, unseen and unheard by the Congress, the President, or the people … Outwardly we have a constitutional government. We have operating within our government and political system, another body representing another form of government, a bureaucratic elite which believes our Constitution is outmoded and is sure that it is the winning side … All the strange developments in foreign policy agreements may be traced to this group who are going to make us over to suit their pleasure … This political action group has its own local political support organizations, its own pressure groups, its own vested interests, its foothold within our government. For it becomes clear that the first step toward world government cannot be completed until we have advanced on the four fronts: the economic, the military, the political and the social. The Elite and the Electorate: Is Government by the People Possible? Senator J. William Fulbright, the Chairman of the Senate Foreign Relations Committee said: The case for government by elites is irrefutable … government by the people is possible but highly improbable. We have created a bureaucracy in Washington so gigantic that it is running this government for the bureaucracy, the way they want, and not for the people of the United States. We no longer have representative government in America. The drive of the Rockefellers and their allies is to create a one world government combining supercapitalism and Communism under the same tent, all under their control, Do I mean conspiracy? Yes I do. I am convinced there is such a plot, international in scope, generations old in planning, and incredibly evil in intent. this regionalization is in keeping with the tri-lateral plan which calls for a gradual convergence of East and West, ultimately leading toward the goal of one world government National sovereignty is no longer a viable concept. World government is coming, in fact, it is inevitable. No arguments for or against it can change that fact. Today, America would be outraged if UN troops entered Los Angeles to restore order (referring to the riot caused by the Rodney King incident). Tomorrow they will be grateful! This is especially true if they were told that there were an outside threat from beyond, whether real or promulgated, that threatened our very existence. It is then that all peoples of the world will plead to deliver them from this evil. The one thing every man fears is the unknown. When presented with this scenario, individual rights will be willingly relinquished for the guarantee of their well-being granted to them by the World Government. George Bush has been surrounding himself with people who believe in one-world government. They believe that the Soviet system and the American system are converging, and the manner in which they would accomplish that was through the United Nations, the majority of whose 166 member states are socialist, atheist, and anti-American. In the next century, nations as we know it will be obsolete; all states will recognize a single, global authority. National sovereignty wasnt such a good idea after all … But it has taken the events in our own wondrous and terrible century to clinch the case for world government. In 1993 he received the Norman Cousins Global Governance Award for the article and for what he has accomplished for the cause of global governance. By the end of this decade (2000) we will live under the first one world government. One world government is inevitable. Havent you wondered why things are the way they are. That even though a new President is elected and a new Administration takes over, executive policy does not change, nor does the State of the Nation which continues to get worse. Is there some sort of group that has infiltrated both political parties, our government, and many other governments, which has for years been creating and controlling world events, and is only now being officially identified, because it is too late to stop this juggernaut? Yes, I believe there is. That is the purpose of this book, to trace the origin and growth of the group which has come to be known as the New World Order, and why there is such a massive campaign to accept it. This entry was posted in criminal government, globalism, nwo. Thanks to ziopedia for the link. The sunlight on the lake sparkles at dawn. As they have done for millions of years, the rounded tree-shrouded shoulders of the Green Mountains loom above the still waters. A loon calls from the next lake over. Who would guess that that not far from such serenity the world’s most powerful nation was teetering on the brink of disaster? Though here in the bosom of nature one wonders why we should be surprised. Nations and empires come and then they go. Just before we left Washington, D.C., the Bush administration announced that it was expecting the largest federal budget deficit in history to be racked up in fiscal year 2009 starting September 1 — $490 billion likely to be added to the national debt. This doesn’t even count the “supplemental appropriations” during the coming year which are the preferred method for off-budget financing of the Iraq War. So what should you stop paying for? Maybe your mortgage payment, credit card debt, or student loans? If you can’t afford your real estate taxes, shouldn’t you sell your house — if you can find a buyer in a depressed market? If you are elderly and have to choose between food and medicine, maybe eat dog food? Then what is the cause of the inflation? On this subject, commentators are all over the map, often without citing any truly definitive data. Neither the government nor politicians offer any help at all, even as companies like Exxon-Mobil, BP, and Shell report quarter-after-quarter of record profits. What have we heard from John McCain or Barack Obama, for instance, on the subject? Answer: nothing. “When I was serving a sentence on Robben Island during the struggle to end apartheid in South Africa, I never suspected that the end of white minority rule in my home country would be the beginning of yet another struggle for justice – this time against the World Bank and the International Monetary Fund. “As architects of the global economy, the World Bank and the IMF have enormous power and shape the conditions of peoples’ lives around the world. That power has been used to create a global economy friendly to the interests of the wealthy and multinational corporations, but devastating to the lives of hundreds of millions of impoverished people. “I live now in the United States where people so far are relatively unscathed by the reordering of the global economy for the benefit of the very rich. I do not see the squatter settlements, the polluted rivers, the street children, and the elderly beggars that are all too visible in Africa, Asia, or Latin America. I am not saying, of course, that the poor in the U.S. don’t suffer from the ravages of the extremist global economic system – they do. Even the U.S. middle class is beginning to see their comfortable lives threatened by the concentration of wealth in fewer and fewer hands. “The IMF and World Bank, with the ‘structural adjustment programs’ (SAPs) they impose on indebted countries and their pro-corporate development projects, are the leading edge of oppressive globalization. The policies they have imposed in Africa, Latin America, and Asia have condemned people to stagnation, poverty, and death for twenty years, and those policies are now being adopted in the countries of Europe and North America too.” (Human Quest May/June 2001). This entry was posted in banking crimes, criminal government, economy, nwo.